NASA’s “flying” telescope, the Stratospheric Observatory for Infrared Astronomy (SOFIA) aboard a highly modified Boeing 747SP jetliner, began its fourth series of science flights Feb. 3, 2016. This operational period, known as “Cycle 4,” is a one-year-long observing period in which SOFIA is scheduled for 106 flights between now and the end of January 2017. SOFIA’s instruments observe infrared energy — one part of the electromagnetic spectrum, which includes visible light, x-rays, radio waves and others. Many objects in space, for example newborn stars, emit almost all their energy at infrared wavelengths and are undetectable when observed in ordinary visible light. In other cases, clouds of gas and dust in space block visible light objects but allow infrared energy to reach Earth. In both situations, the celestial objects of interest can only be studied using infrared facilities like SOFIA. 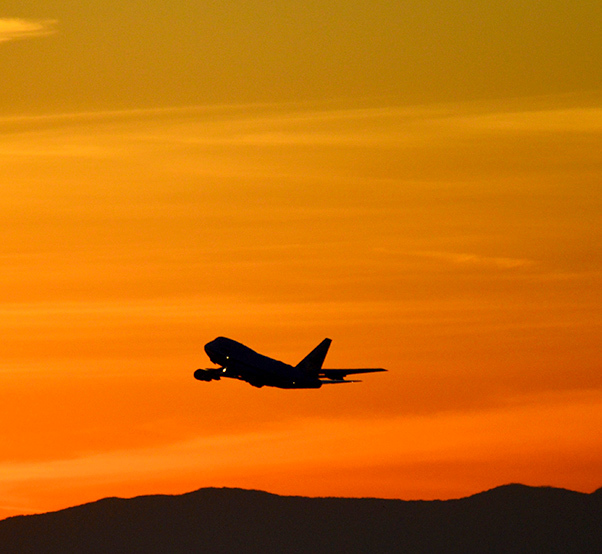 NASA’s Stratospheric Observatory for Infrared Astronomy takes off from Palmdale, Calif., at sunset. SOFIA is a partnership of NASA and the German Aerospace Center. Scientists from the University of Georgia, University of Arizona, University of Texas at San Antonio, and the Space Telescope Science Institute in Baltimore, plus their collaborators from institutions in the United States and Europe, obtained data using the Faint Object Infrared Camera for the SOFIA Telescope mounted on SOFIA’s telescope for imaging and spectroscopic observations during the flight. Later in Cycle 4, the SOFIA observatory is scheduled to deploy to the Southern Hemisphere for seven weeks in June and July 2016, with 24 science flights planned from a base at Christchurch, New Zealand. There, scientists will have the opportunity to observe areas of interest such as the Galactic Center and other parts of the Milky Way that are not visible or difficult to observe from the Northern Hemisphere. 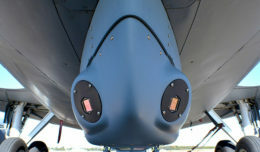 The far-infrared High-resolution Airborne Wideband Camera-plus will be added to SOFIA’s suite of seven cameras, spectrometers, and high-speed photometers during the latter part of Cycle 4. HAWC+’s optics, state-of-the art detector arrays, and upgradability will permit a broad range of important astrophysical investigations, including the unique and powerful capability of mapping magnetic fields in molecular clouds. SOFIA is a joint project of NASA and the German Aerospace Center. NASA’s Ames Research Center in Moffett Field, Calif., manages the SOFIA program. 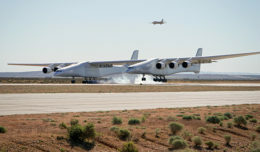 The aircraft is based at NASA’s Armstrong Flight Research Center’s facility in Palmdale, Calif. NASA Ames manages the SOFIA science and mission operations in cooperation with the Universities Space Research Association headquartered in Columbia, Md, and the German SOFIA Institute at the University of Stuttgart. For a list of science programs selected for Cycle 4, visit https://www.sofia.usra.edu/Science/proposals/cycle4/results.html.